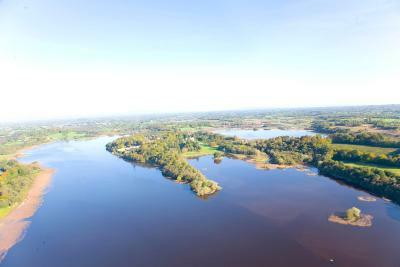 Lock in a great price for Lough Rynn Castle – rated 9.2 by recent guests! 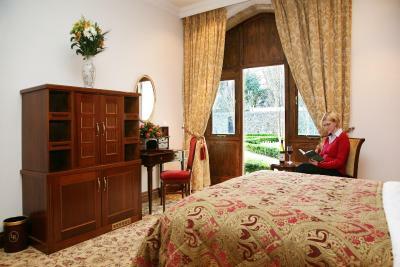 We love staying at Lough Rynn. This is our second time and will definitely come back the next time we visit Ireland. The price is fabulous for all the extras we get in this castle. Thanks so much! We had a great time! Love the gardens and grounds! The view is spectacular! Our room was spacious and comfortable. Most staff was friendly and helpful. Grounds were gorgeous! Good was very good! 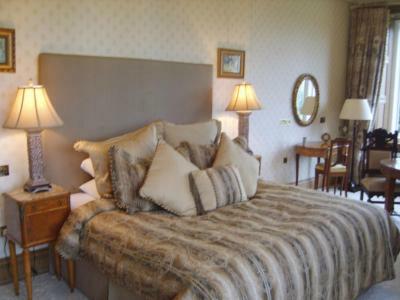 Exactly what you would expect from country manor hotel. Much more affordable than you would think. 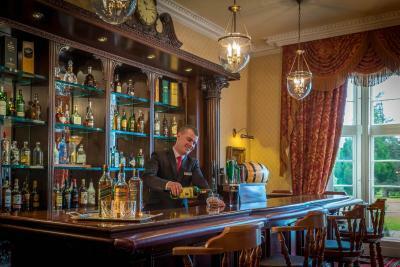 The staff and the local hotel patrons make this place very special. The location was excellent, the food amazing everything was top class! 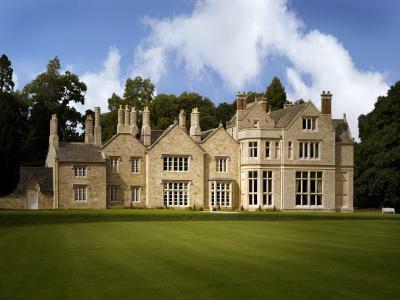 My favorite hotel in Ireland. The architecture was impressive and the rooms were very comfortable. The weekday price was reasonable and breakfast was included. The walled gardens were absolutely beautiful and perfect for an evening walk. Perfect setting for starting our Ireland vacation! Liked Everything!! Especially friendly helpful staff. Grounds were beautiful!! Beautiful grounds and gardens for a stroll. The room was nice with one door leading to an open air courtyard and the other door leading to a common hallway. The morning breakfast was delicious and made to order. I have never seen an omelet as large as the one served to my wife. 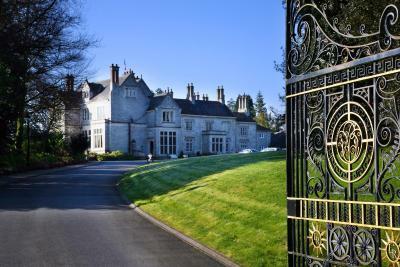 Lough Rynn Castle This rating is a reflection of how the property compares to the industry standard when it comes to price, facilities and services available. It's based on a self-evaluation by the property. Use this rating to help choose your stay! 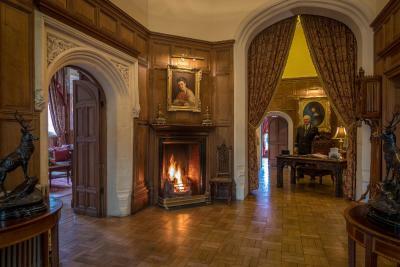 Rich in ancient character and original charm, Lough Rynn Castle still retains all of its historic splendor, with antique furnishings, open fires, wood paneling and decorative stone and glasswork. 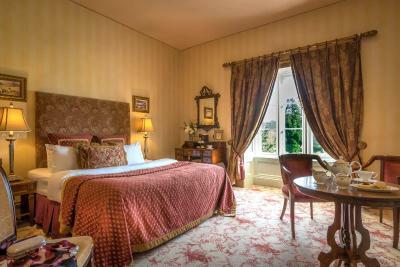 Today, the hotel combines its traditional elegance with modern comforts and facilities. 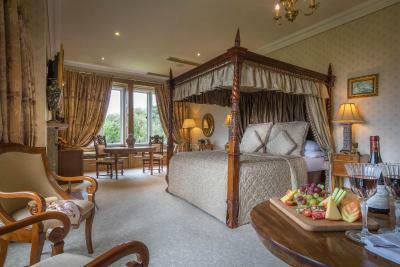 The castle bedrooms feature air conditioning and broadband internet access, while the estate's former stables and pheasantry have also been converted into luxurious accommodations. 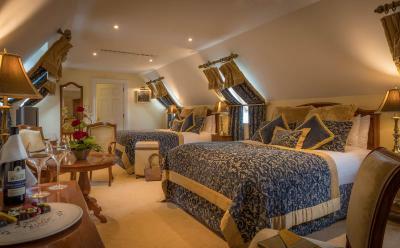 All rooms are tastefully decorated with rich, luxurious fabrics and beautifully preserved original features. 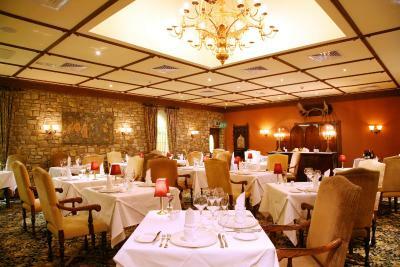 The Sandstone Restaurant offers an elegant fine-dining experience and has received an AA Rosette award. 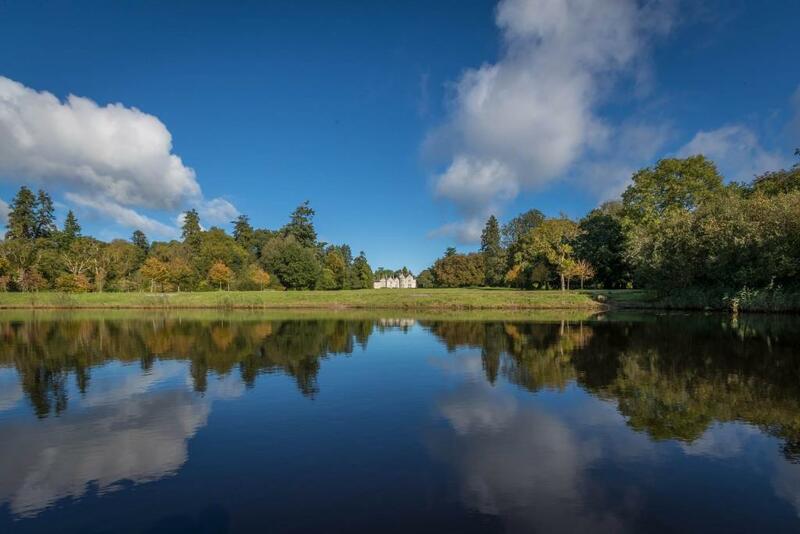 The restaurant offers a series of set menus and regular menus, created using the finest, freshest seasonal produce from Leitrim and the surrounding counties. 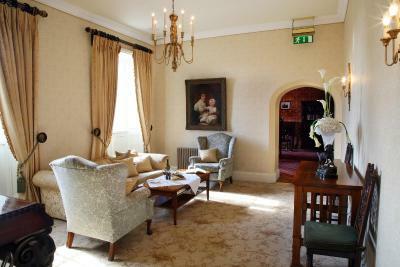 When would you like to stay at Lough Rynn Castle? 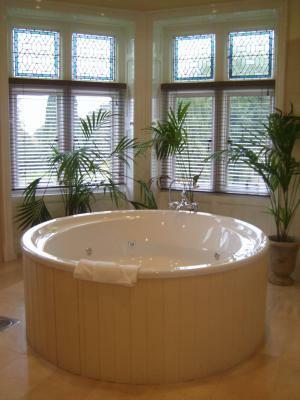 Each room has a private bathroom and features antique furniture. Facilities include an interactive TV, free Wi-Fi/broadband access and underfloor heating. 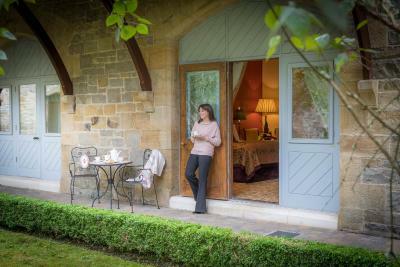 This triple room features an electric kettle, sitting area and air conditioning. 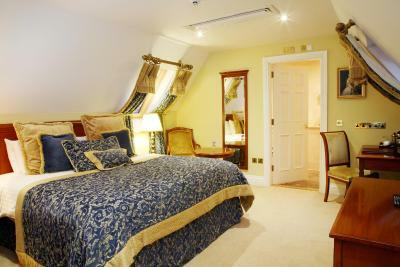 This room includes a double bed and a single bed. Most have a Lake View, with uninterrupted views of the manicured gardens. 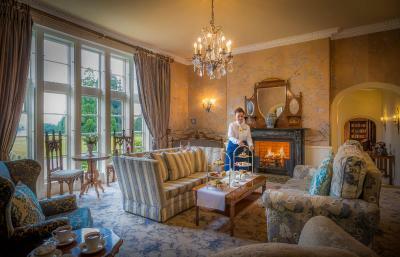 House Rules Lough Rynn Castle takes special requests – add in the next step! 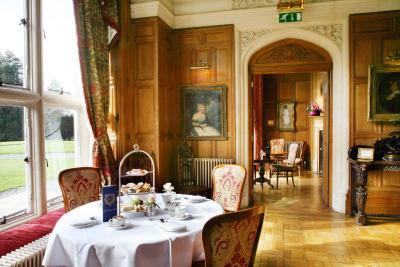 Lough Rynn Castle accepts these cards and reserves the right to temporarily hold an amount prior to arrival. Staff were all lovely and pleasant (attentive without being in your face). Food was.delicious - especially breakfast. 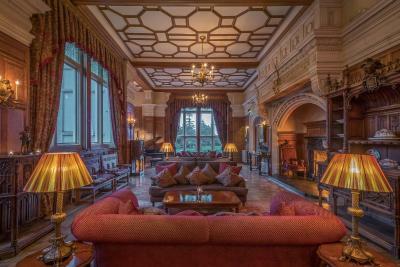 Lounge area was lovely with big comfy couches a fire and big windows overlooking the lake. No TV radio or unnecessary noise. 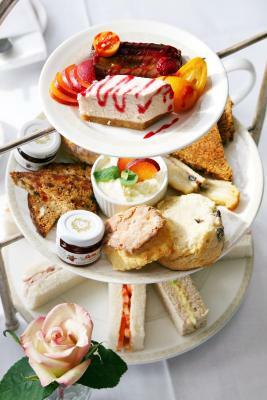 It was a lovely experience the staff were very helpful friendly and approachable. The room was lovely the bed very comfortable honestly I could not fault anything about our stay. Totally serene atmosphere, far from the daily irritations of modern life. 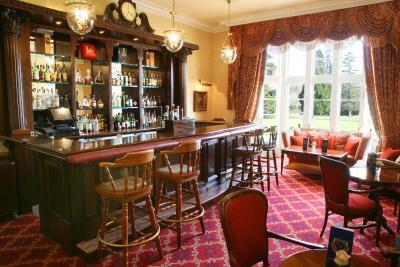 Excellent breakfast (orders from menu) as well as continental breakfast in lovely surroundings. A bit muted in atmosphere. Classical music was a bit boring. Lots of people having whispered conversations. Needs to loosen up a bit. Also advertised dungeon bar was closed to guests. Comfortable, beautiful views. Nice staff. 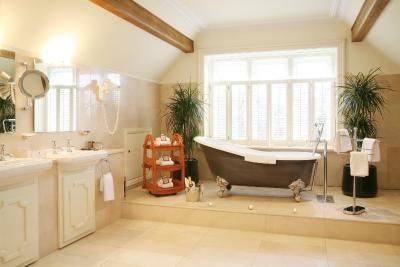 Lovely drawing rooms and bedrooms. Would have liked to have a spa there with all the usual treatments!! Comfortable bed and spacious bedroom. Friendly, attentative staff always on hand to order coffee and shortbread lol. Meals were delicious and a great choice!! 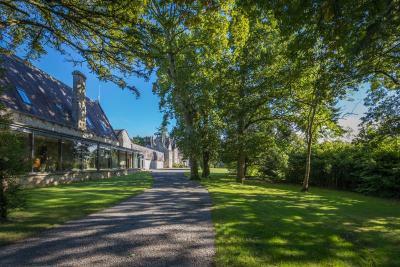 Breakfast cooked and buffet - a great way to start the day Picturesque walks. Staff very attentive and made our stay extra special for our 50th Wedding Anniversary.